As 2018 All-Star Game Umpires, including Crew Chief/HP Umpire Ted Barrett, Jim Reynolds (1B), Alfonso Marquez (2B), Andy Fletcher (3B), Mike Muchlinski (LF), and Cory Blaser (RF) take the field in Washington, DC with Replay Official Marvin Hudson stationed at MLBAM headquarters in New York, we open the floor for 2018 All-Star Game discussion; feel free to also use this time and thread as an open forum for other umpiring matters that may be on your mind. 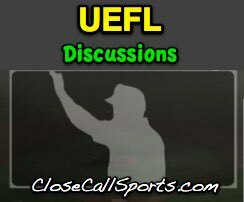 Programming Note: Immediately following the conclusion of the 2018 All-Star Game, we will debut The Plate Meeting, a LF Umpire Podcast from CloseCallSports.com, featuring our special guest, retired 30-year MLB umpiring veteran Bob Davidson. Notes include home plate umpire performance according to Statcast/pitch f/x and UEFL Rules 6-2-b-1 (horizontal bound, "Kulpa Rule") and 6-2-b-2 (vertical strike zone, "Miller Rule"). Plays include significant events, if such plays occur. - 7/17/18, AL@NL: HP Umpire Ted Barrett: pfx. 114/119 Balls + 46/52 Strikes = 160/171 = 93.6%. +1 AL. Close or Notable Plays (Green = QOC Correct / Red = QOC Incorrect / Yellow = QOC Irrecusable). UIC Ted Barrett: .800 (8 affirmed / 10 total reviews), 5th in MLB. U1 Jim Reynolds: .625 (5/8), 25th. U2 Alfonso Marquez: .429 (3/7), 62nd. U3 Andy Fletcher: .400 (4/10), 66th. U4 Mike Muchlinski: .400 (2/5), 66th. U5 Cory Blaser: .556 (5/9), 35th. Replay Official Marvin Hudson: .500 (3/6), 42nd. AL Manager AJ Hinch (HOU): TSP = .450 (9 overturned / 20 total), 16th in MLB, 7th in AL. NL Manager Dave Roberts (LAD): TSP = .400 (10 overturned / 25 total), 23rd in MLB, 11th in NL.